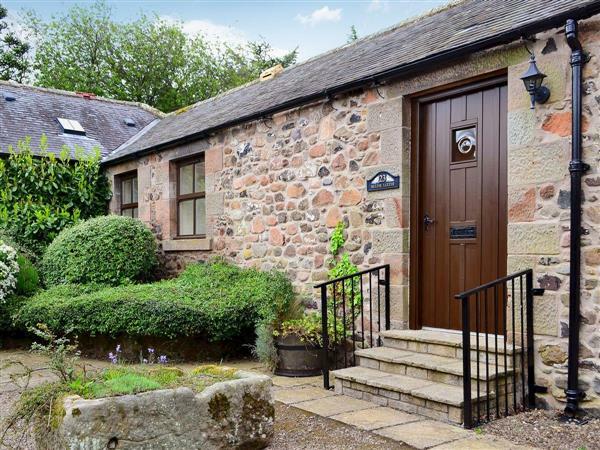 Bizzie Lizzie Cottage, Akeld Manor in Akeld, Wooler, Northumberland sleeps 6 people. Standing proudly at the foot of the Cheviot Hills, on the edge of the glorious Northumberland National Park and only 15 miles from the alternating sands and rocks of the coastline, Akeld Manor cottages offer the perfect setting for a holiday in England’s fascinating and beautiful Border country. The gracious Manor House and its cluster of cottages and mellow stone buildings have been sensitively renovated and converted to create an outstanding collection of holiday properties (refs MFO, MDW [Akeld Manor House], MED [Timberwick Green], MGG [Lavender Cottage], MGH [Perriwinkle], MJB [Aubretia Trail], MJC [Primula Patch], MJD [Freesia Cottage]) – all with shared use of a superb choice of facilities. A leisure building houses a wide range of amenities (available daily, all the year round) which include an indoor heated swimming pool with changing and shower facilities, a Jacuzzi and sauna. There is a well-equipped multi-gym, too, and the first floor of the building features a large games room (with pool table, table tennis and football game) and a separate snooker room with full-size antique table. The cottages are set in acres of shared grounds, which offer space for relaxing and for children to play, and they lie within 2 miles of the shops and inns at Wooler. Three steps up to entrance hall. Sitting-room with dining area and, fitted into recess, a quality fitted wall-bed (for +2). Modern fitted kitchen. Twin-bedded room with en-suite shower room/W.C. Separate bathroom/W.C. with shower cubicle. Short flight of steps to double bedroom with en-suite shower room/W.C. For a better idea of where Bizzie Lizzie Cottage is, you can see Bizzie Lizzie Cottage on the map below. Bizzie Lizzie Cottage is in Northumberland; should you be on the lookout for a special offer, you can find all the special offers in Northumberland. It's always worth checking to see what is on offer at the moment. Do you want to holiday near Bizzie Lizzie Cottage (MFO), you can see other cottages within 25 miles of Bizzie Lizzie Cottage; have a look to find your perfect holiday location.